Sunday morning broke clear and bright, and we drove through freshly scoured fields to Jane Austen’s house in Chawton in the town of Alton. 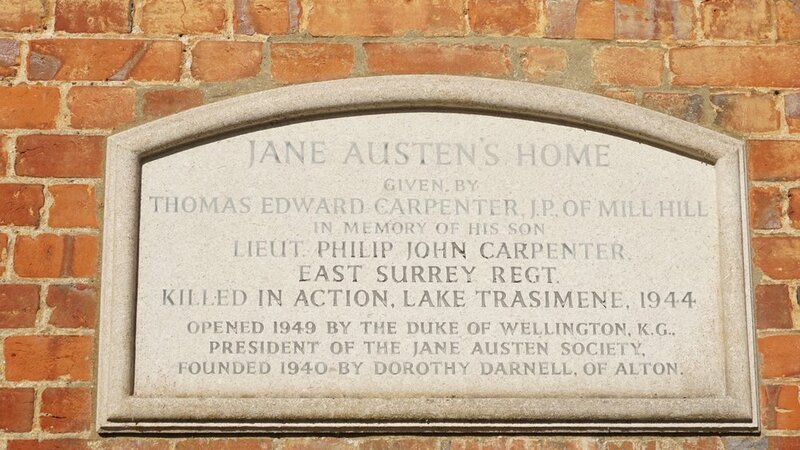 Chawton was where Austen spent the last eight years of her life. Her brother Edward had been given away as a child to wealthy benefactors (much as Frank Churchill was in Emma and Fanny Price was in Mansfield Park), but he did not forget his birth family. 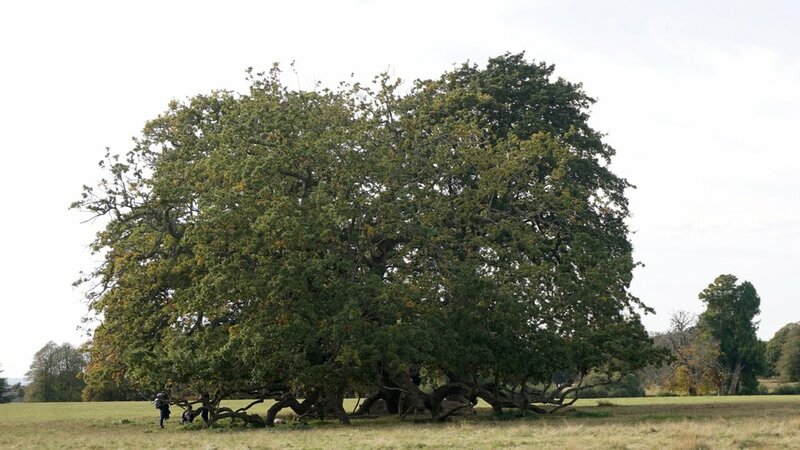 Edward had long lived in the grand pile, Chawton House, and ultimately inherited the estate. When the brick cottage nearby became his, he offered it to his mother, his sisters Jane and Cassandra, and their longtime friend, Martha Lloyd as a place to live for the rest of their lives. The small rooms, with their plank floors, are bright and cheerful, with displays of such memorabilia as could be assembled. 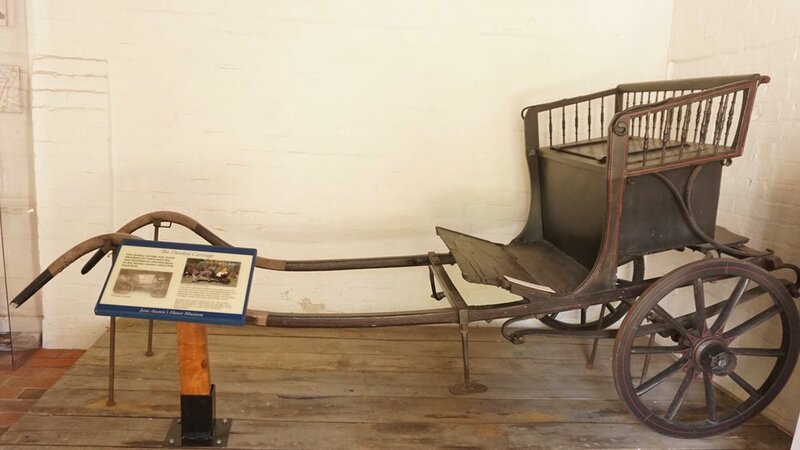 The small donkey carriage Austen actually rode in sits right outside the gift shop. A bed that was like the ones Jane and Cassandra slept in as children is in the bedroom they shared (by choice) even as adults. Although they never lived in the house, one whole room is dedicated to Jane’s naval officer brothers (and, indirectly, Captain Wentworth in Persuasion and Fanny’s younger brother William in Mansfield Park). A sheer net shawl shows Jane’s actual delicate lacework. The two topaz crosses displayed were given to Jane and Cassandra by their naval brother Charles—purchased with his war booty—and no doubt they served as the inspiration for the topaz cross given by William to Fanny in MP (and Fanny has no chain to hang it on, which leads to all kinds of complications). Here, too, is Jane Austen’s simple, turquoise ring. Or maybe it’s not turquoise, but the less expensive odontolite—apparently, in 300 years, nobody has figured it out. But you can buy a copy in the gift shop for £150 in Sterling silver, £450 in 9 carat gold. 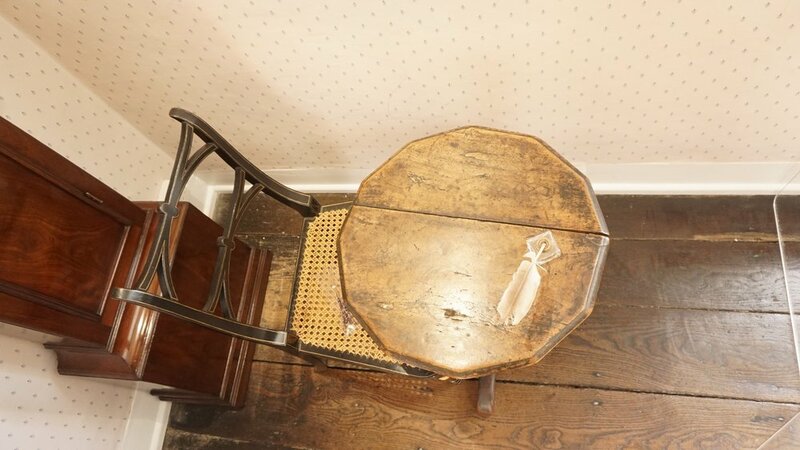 And there, in the parlor, off to one side, by the window, is Austen’s writing table—what we would consider a small, round side table-- where she wrote Emma and Persuasion. Only the table top is original. Still. There it is, the remarkable surface. 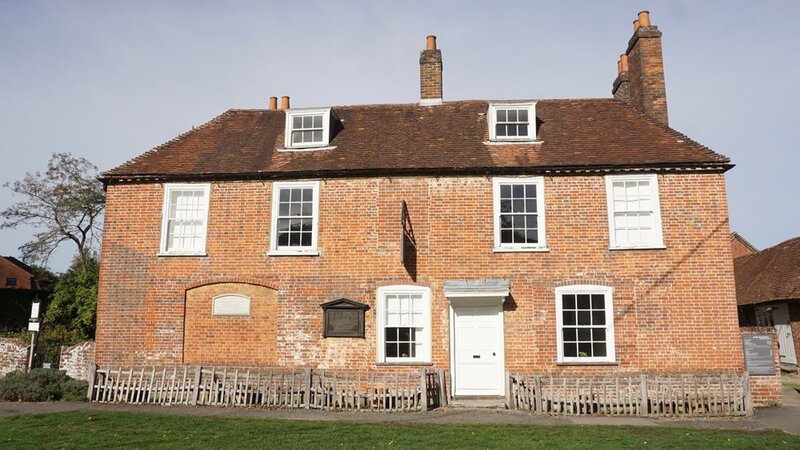 Seeing Austen’s Chawton home made Michelle feel better about it; in photographs, the brick cottage always looks too close to the road and a little bleak; in fact, the house has a generous garden and outbuildings and a peaceful, bucolic feel. Jim liked seeing both Austen homes (Edward’s pile and Jane’s cottage) and their relationship to each other and the surrounding towns and countryside. It gave him a sense the distances in Austen’s life. For example, Jane Austen often took the ten-minute walk to her brother’s home, Chawton House--and we did too, going down the path from town and turning into the long approach, a stately allee between sheep pastures. We do not condemn gift shops, as they supply much of the revenue required to keep museums open, but some of the merchandise does make us ponder what authors would have thought about how they’ve been memorialized. 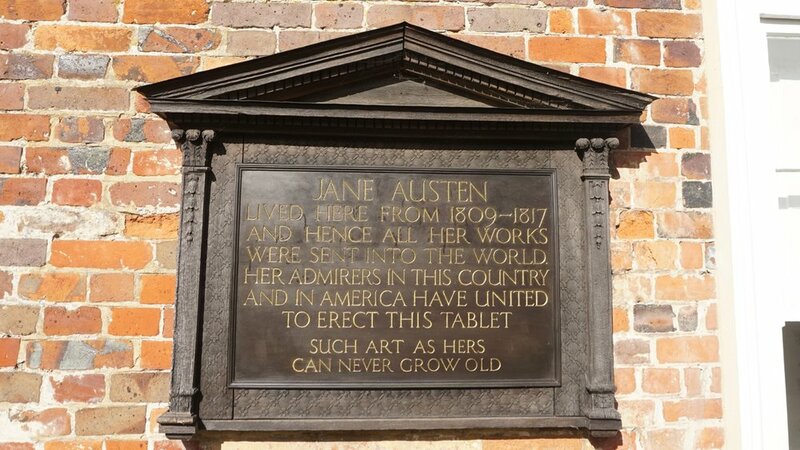 In her lifetime, Austen suffered cheating publishers and illegal translations, so Jane Austen’s Chawton House Clotted Cream Fudge might seem a minor indignity. But Pride and Prejudice and Emojis? A Guinea Pig P&P? We like to think she’d laugh. Then sue. We drove back to the Spread Eagle (that name—really? 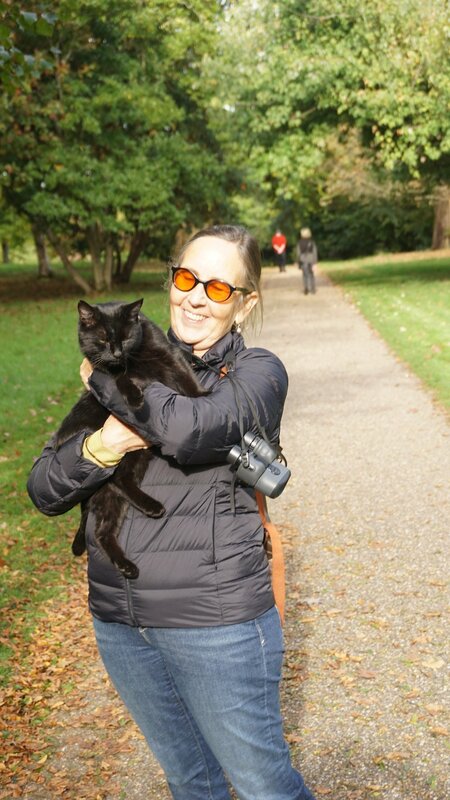 ), changed clothes and gears to spend the rest of the afternoon at Petworth Park, a fine massive old house now a museum with gardens and miles of deer park. Despite the Turners and Constables inside, we did not set foot in the house, but embarked on a large loop around the property with its ponds and hills and ancient trees. We were way up in the back eighty when we saw our first two deer: they were being chased by three naughty boys of around nine or ten—probably from the surrounding neighborhood, because they roamed about the property as if they knew every inch of it, and although we kept crossing paths with them, we never saw any adult relate to them.